I am having problems with supervisors on my job. No matter what I do, they are always giving me the third degree. I need my job. Please pray for me. 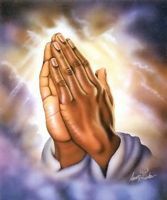 please pray for the lady that got shot, and the other people with her. pray that they all survive.